Teddy Bear Tuesday: ShellieMay available at Walt Disney World and Disneyland! I've been excitedly reporting over on my Princess Rants Facebook page about the release of ShellieMay merchandise at WDW and DL, and entirely forgot to share my excitement here on my blog! My girls fell in love with Duffy on our very first trip to Disney in 2011, and immediately started dressing him in Princess costumes from Build-a-Bear Workshop. A little googling turned up the information that a girl-Disney Bear was available.... but only in Tokyo. 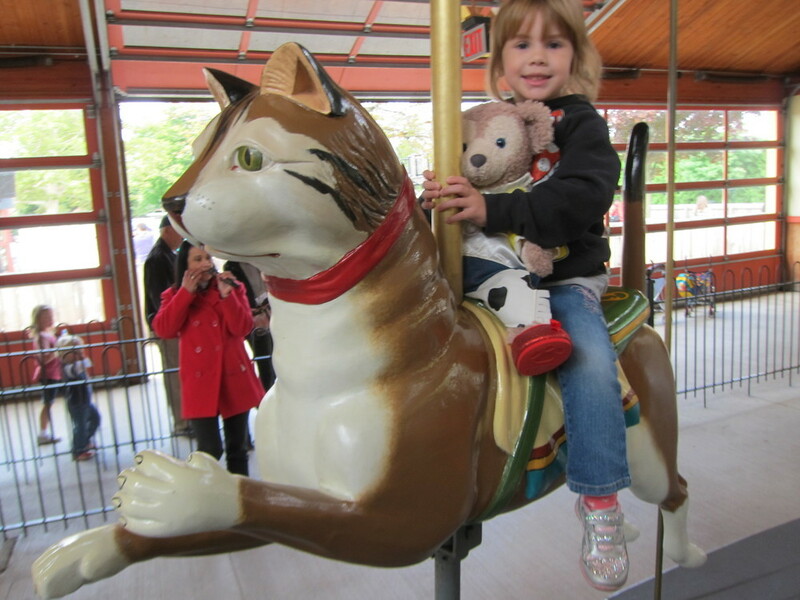 I am fortunate to have a global network of friends from Grad School and we were able to get Viola her very own ShellieMay bear from Tokyo DisneySea for her birthday in April 2012. ShellieMay has been a constant companion ever since! 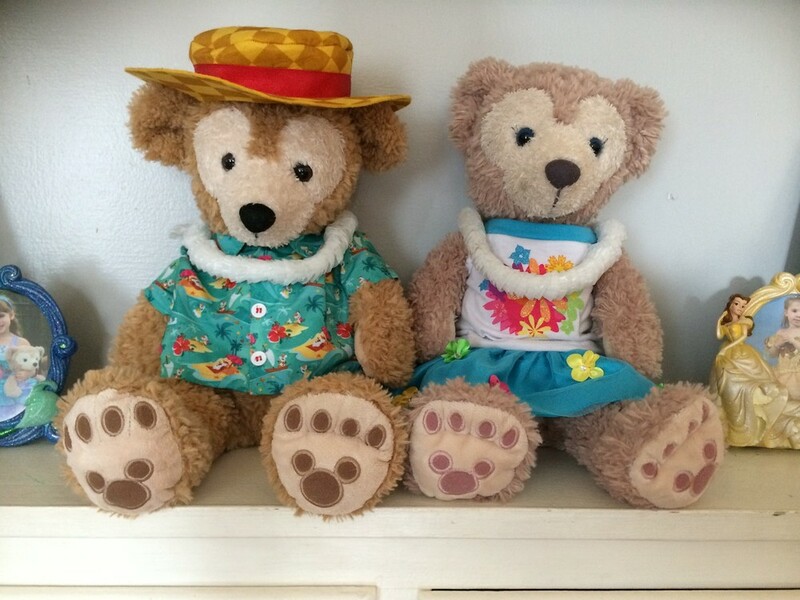 Even though her merchandise was released earlier this year at Aulani, we had given up hope that she'd ever make the move to mainland USA when the Duffy Meet&Greet was closed in September. It's great to be wrong! I'm so excited that many more kids will get to enjoy sharing adventures with ShellieMay now! Teddy Bear Tuesday: Farewell Duffy Bear! Disney quietly retired Duffy the Disney Bear last week --- the meet & greet character, not the merchandise. I happened to be down at Walt Disney World for an impromptu grown-ups trip without my daughters. As we were walking through EPCOT I decided to stop by Duffy’s pavilions for one last photo shoot. I felt a little silly, I mean… it’s just a guy (or gal) in a costume, right? But when I got up there and it was my turn, I felt unexpectedly emotional. Duffy has been a big part of my girls’ lives since they were little--- they take their Duffy bears everywhere, on lots and lots of adventures! I think their Duffy bears have more clothes than I do. Eventually we splurged and imported Duffy’s friend, ShellieMay, from Tokyo Disney thanks to eBay --- and she definitely has more clothes than I do. I know that Duffy isn’t considered a very popular character and there are many theories why: some folks saw Duffy as a blatant merchandising money grab, a “made-up” character. I wonder if the choice to bring Duffy with his EPCOT lands wardrobe wasn’t part of the problem--- if they’d brought of ShellieMay and a closet full of tiny princess dresses I think the franchise might have gone much differently. In anycase, my girls loved Duffy---- genuinely loved him. And to see him leaving the parks was like watching a little bit of their childhood leaving too. I’m glad I got one last snuggly hug and visit in! My girls had been patiently waiting and waiting for ShellieMay to make the switch to the US. When her merchandise was brought to Aulani in Hawaii the girls got really excited that a Disney World Shellie would soon follow. I don’t know what the retirement of Duffy means for that…. it’s a bit confusing since a new English version ShellieMay book was just released. Maybe Duffy isn’t gone for good, just hibernating a bit until he can be re-introduced with his better half? The Disney rumor experts seem to think that that is unlikely, but I'm staying optimistic! We went to see Avengers2 this weekend and were treated with the Star Wars: Force Awakens trailer in 3D! It looks amazing!!! I can't believe it comes out later this year! I'm so, so excited!! Speaking of Star Wars and bears, on Monday Build-a-bear let folks preorder Chewbacca stuffed animals. I hope this means that we'll have a bunch of new Star Wars teddy bear merchandise to look forward to as we get closer to December, both from BABW and from Disney! Hey, maybe ShellieMay will have finally made it to the USA by then? She'll make a great Teddy Princess Leia! Fingers crossed! This isn't Duffy's first visit to Cinderella's Royal Table, either. He escorted ShellieMay there on our last trip in 2013! See for yourself the adorableness! After breakfast we swung by one of the girls' favorite rides so that Duffy could photobomb Mr. Winnie the Pooh.... or maybe is it the other way around? Happy Teddy Bear Tuesday! As you might have guessed after our Ariel Birthday Party last month, mermaids are a fan favorite in our house. So, of course, Shellie and May have their own Ariel costumes. And, of course, they packed those Ariel costumes in their teddy bear suitcases for our 2015 trip to Walt Disney World! We purchased these beautiful hand-made dresses from Connie (HotTotsCoolKids) on Etsy for Eva's birthday party. They were worth every penny! I had talked to Connie about doing Duffy Bear-themed dresses for our trip, but unfortunately my budget wouldn't allow it .... next time, for sure! The girls received so many compliments on their outfits, and had so much fun doing twirling competitions while we waited in line!